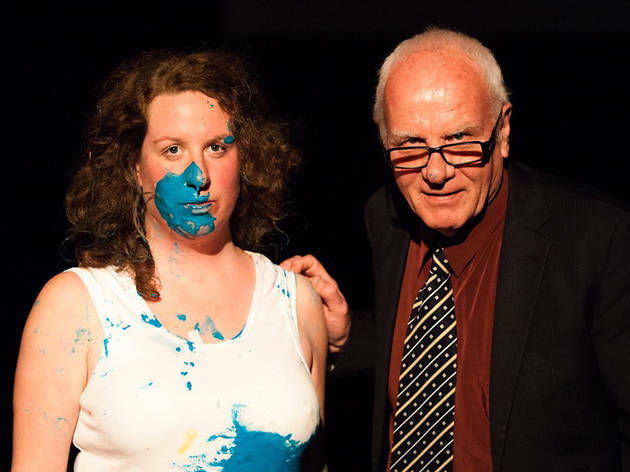 Australian performance artist Bron Batten and her dad, Jim, explore the artist's life in this charming theatrical collage. It can be hard to explain, let alone justify, the life of an artist to your parents. Bron Batten, Melbourne-based experimental theater artist and co-creative producer of the Last Tuesday Society, decided to try something different: include them in it. Sweet Child of Mine is a culmination of the journey of understanding Bron and her family took together, devised and performed with her real-life father Jim Batten. No characters, no contrived dramatic thrust. Just a real story without artifice, a sort of presentation with a grab bag of theatrical tools—projection, music, stand-up, improv, dance, audience participation—that make it instantly relatable and delightfully unpredictable. 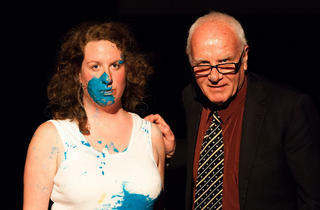 The play moves bit to bit, each scene a self-contained stab at understanding the professional theater artist. The lofty question is thankfully treated with humor and self-awareness. One scene takes the form of an academic lecture, with Bron shooting like a rocket through the history of Western theatre from Ancient Greece to post-structuralism. In another, Bron’s father cuts through the end of her solo dance to deliver a charmingly awkward story from her childhood. Clips from interviews Bron conducted at the start of the project are placed throughout, showing her parents’ earnest but bewildered attempts to grapple with their daughter’s chosen profession. 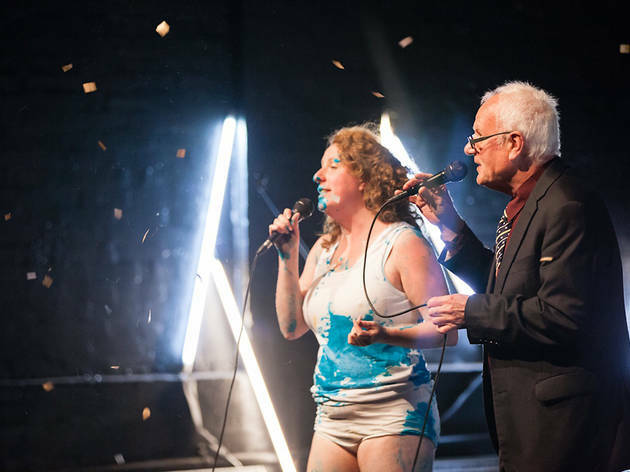 While funny and touching in their own right, in contrast with the present Jim Batten we see gleefully performing with his daughter on stage, they also hint at what gives the play its emotional heft: Sweet Child of Mine is case-in-point for the transformative power of theater.